If you believe your dog has ingested a a substance that is poisonous to dogs, call a poison control hotline such as the one offered by the ASPCA right away (888) 426-4435 ($65 charge) or the Animal Poison Control Center (800) 548-2423. If you have the package for the product, check the label for instructions. Do not induce vomiting unless suggested by a veterinary or hotline professional. Act fast to avoid causing permanent harm. If you see your dog suffering from seizures, is fading or losing consciousness or is having breathing difficulties, bring your dog directly to an emergency veterinary clinic. Chemical poisoning can be lethal, so always act on the side of caution and call a veterinarian immediately. If you know what your dog ingested, check the label. Look for words such as danger or poison. Assume that product toxic to humans with also be toxic to dogs. 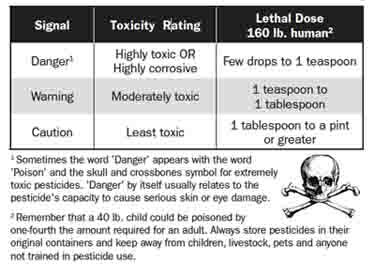 Pesticide product labels are a good place to start when determining how to avoid poisoning from products such as lawn insecticides. The REI (restricted entry interval) lists how long you should wait before a dog should be allowed on the lawn. This includes the removal of any dog toes or other items that come in contact with your pet prior to treating lawn or plant areas. The insecticide Bendiocarb kills ants, crickets and fleas. Manufacturers are currently reducing or phasing it out. It causes excessive salvation, chest discomfort and muscle tremors. The insecticide Avermectin B1, used to kill fire ants, is toxic to dogs. Related symptoms are tremors and lethargy. Many Readers Ask - Will Antifreeze Kill a Dog? Ethylene glycol (antifreeze) is one of the most dangerous things your dog could ingest. Dogs are attracted to its sweet smell and taste. A tablespoon of antifreeze could kill (approximately 5) or it can cause severe symptoms in a small dog. Antifreeze dog poison treatment within hours of ingesting the poison includes induced vomiting to empty the stomach. Charcoal is giving to the dog to absorb antifreeze that is in the intestines. A medication is used which can prevent the dog's liver from converting the antifreeze into toxins that can harm the dog. Similar steps are taken for white spirit or barbecue light fluid poisoning. If dog kidney failure has already started, treatment is still possible with more aggressive approaches such as canine kidney dialysis. Dialysis can remove toxins which can give the dog's kidney an opportunity to repair themselves. A dog kidney transplant can also be used in chronic cases. The prognosis for dogs treated within 12 hours after ingesting anti-freeze is good. The prognosis is grave after 24 hours. CALL - If you suspect dog antifreeze poisoning call an emergency veterinary clinic, your veterinarian or if you can't reach someone immediately call the ASPCA 24 hour poison hot line at (888) 426-4435. INDUCE VOMITING - Vomiting will get as much antifreeze out of your dogs system as possible. RACE TO VET - your vet will give your dog 4-methylpyrazole or ethanol to keep the antifreeze from breaking down into toxins. Antifreeze dog poison problems can be avoided by picking up the poison from leaking cars and by storing the product in sealed containers. Better yet, buy a pet safe antifreeze made from propylene glycol such as the Sierra shown on the right. 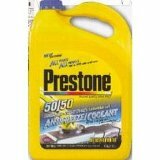 Antifreeze that contains propylene glycol such as the brand Sierra are not as harmful as antifreeze that doesn't contain this ingredient. While it will still make your dog sick such as stomach upset or problems with the nervous system, it shouldn't cause the kidney damage. Even with this brand, contact your veterinarian immediately. Antifreeze dog poison problems can be avoided by picking up the poison from leaking cars and by storing the product in sealed containers. Better yet, buy a pet safe antifreeze made from propylene glycol such as the Sierra shown on the right. The insecticide Alletrhin is used to kill mosquitoes and flies. It is toxic to dogs and has been associated with dog liver cancer. Organophosphates when used in lawn insecticides can be dangerous to dogs and could cause tremors and seizures. According to the ASPCA, this represents approximately 20% of calls to their poison hot line. A University of Colorado study indicated that higher levels of the insecticide 2,4 D were found in dogs that lived near treated lawns. A study published in 1995 in Environmental Research Journal shows a “statistically significant” increase in the risk of canine malignant lymphoma in dogs exposed to herbicides, particularly 2,4-D, commonly used on lawns and in “weed and feed” products. Insecticides that use orthophosphates (Malation, dichlorvos) and those that use carbamates (Carbaryl, Aldicarb, Diazinon, Methiocarb) are shown to inhibit cholinesterase in a Harvard Study. This has been shown to cause aggressive behavior in dogs. A Purdue University studies demonstrated that gardens and lawns treated with pesticide have a higher incidence of transitional cell carcinoma of the bladder (bladder cancer). The insecticide Rotenone can cause weight loss and vomiting. Symptoms of lead poisoning in dogs include vomiting, diarrhea, anemia (less than normal blood cells). Call your veterinarian who will administer a medication for removing lead from your dog's body. Mothballs that contain the chemicals naphthalene or paradichlorobenzene are dangerous to dogs. Symptoms associated with ingesting mothballs with naphthalene include vomiting, diarrhea, anemia, weakness and collapse. Symptoms with paradichlorobenzene include liver damage, staggering or seizures. Call your veterinarian and read the ingredients to him or her from the mothball box. 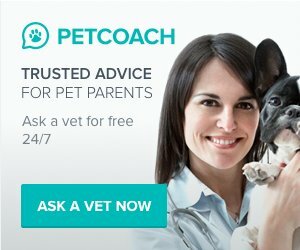 Your veterinarian will induce vomiting, administer activated charcoal or intravenous fluids. If your dog ate rat poison call your veterinarian immediately to avoid fatal internal bleeding. Do not wait for symptoms as it might be too late. Poison made to kill slugs and snails is harmful to dogs. Products contain the chemical metaldehyde, which tastes good to dogs. Many poisons contain sugar to attract the sails and slugs which also attracts dogs. If you suspect this problem call your veterinarian who will use charcoal to absorb the toxin and possibly induce vomiting. Bladder cancer in dogs risk is "significantly increased by topical insecticide use"
Some dog flea control products use orthophosphates, which interfere with the nervous system. Look for ingredients such as Tetrachlorvinphos and Dichlorvos. (avoid these chemicals!!!) If you notice an unusual amount of itching then immediately bathe your dog with a mild canine shampoo lathering and rinsing multiple times. Call your veterinarian if you see seizures, excessive drooling or body tremors. Your veterinarian will provide activated charcoal to absorb any toxins and administer fluids if needed. As little as ingesting 2 pennies can cause poisoning and even death so act fast! Symptoms associated with zinc poisoning in dogs include diarrhea, vomiting and anemia (reduced number of red blood cells), red or orange colored urine, lack of appetite. Treatment for zinc poisoning is to remove the eaten objects from your dogs digestive system.